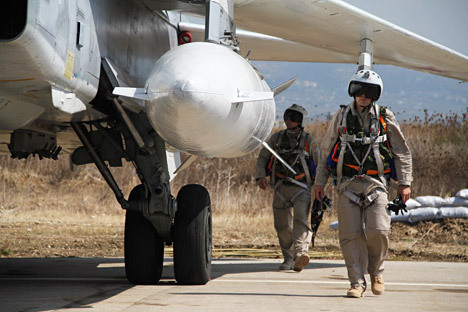 Terrorists in Syria are losing fighters and equipment thanks to the air strikes carried out by the Russian Aerospace Force, Lt. Gen. Sergei Rudskoi, head of the Main Operative Directorate of the Russian Armed Forces General Staff, said on Jan. 11. "The air strikes carried out by the aircraft of the Russian Aerospace Force resulted in the terror groups sustaining significant casualties and equipment losses," Rudskoi said. This enables the Syrian army and patriotic opposition forces to continue offensive operations despite the difficult weather conditions that involve torrential rains and a temperature drop, he said.